The Identity presenter is Des Crump. Des is a Gamilaroi man from south-west Queensland, with 30 years’ experience working in Aboriginal and Torres Strait Islander education. 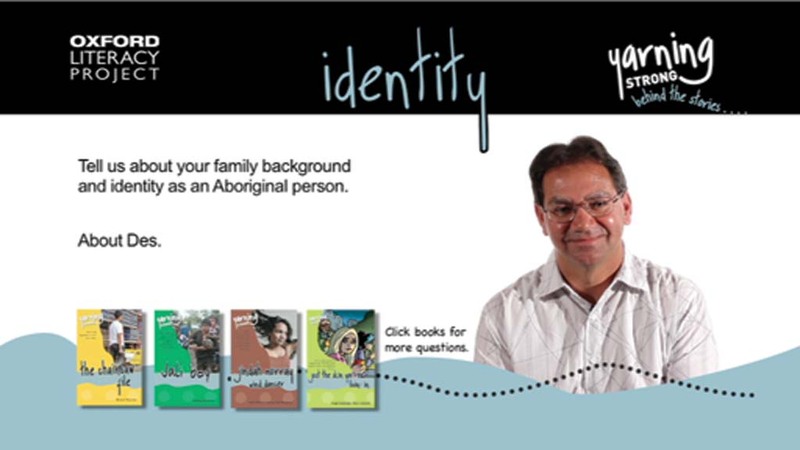 Des is the director of the Dhinawun Consultancy, which focuses on Aboriginal and Torres Strait Islander education, Aboriginal languages, and curriculum development and implementation. DVD users can click on a book cover to see a list of questions related to that book. When any question is clicked on, Des will provide his answer.